2018 saw strong export markets for both thermal and metallurgical coals, supportive economic conditions in the U.S. and globally, and continuing progress by the administration on federal regulatory reform in Washington DC. Near the end of the year came spiking natural gas prices, midterm elections, and a volatile stock market. As 2019 gets underway, there is much to consider: marketplace and logistics conditions are face-to-face with the now-not-so-new “New Fuel Dynamic”, a divided Congress convenes in Washington DC, federal government activity is impacted by a budget impasse and shutdown, U.S. and global economies may be showing signs of softening, and the outlook for coal is ?????? We invite you to join us as our Spring Coal Forum speakers examine the many factors affecting how coal will fare in 2019 – up, down, and sideways – in the context of markets, policy, regulation, and technology. The Sandpearl Resort & Spa in Clearwater Beach is offering a discounted rate of $294 /night plus tax (single/double) for our conference attendees. For reservations, please call 877.726.3111 or 727.441.2425 and mention that you’re with “American Coal Council Spring Coal Forum”. The deadline for the discounted room reservations is Monday, February 11, 2019. Climate models are not evidence. At best, they offer scenarios of what might happen if the assumptions on which they are based turn out to be correct. However, the average prediction by 102 models is now a full degree F (0.55 C) above whatsatellites are actually measuring. Models that cannot be confirmed by actual observations are of little value and certainly should not be a basis for vital energy policy making. Claims that tornadoes have gotten more frequent and intense are obliterated by actual evidence. NOAA records show that from 1954 to 1985 an average of 56 F3 to F5 tornadoes struck the USA each year – but from 1985 to 2017 there were only 34per year on average. And in 2018, for the first time in modern history, not a single “violent” twister touched down in the United States. 2019 TOMORROW’S LEADERSHIP COUNCIL PROGRAM REGISTRATION NOW OPEN! The ACC’s Tomorrow’s Leadership Council (TLC) is designed to advance and vest executive talent in the coal industry. TLC is an annual program designed to provide a meaningful opportunity for up-and-coming executives to enhance their industry knowledge and networks through projects and activities that advance industry-wide objectives as well as professional development goals. The TLC program, which launched in 2009, has had participation by 150 executives from more than 50 companies throughout the coal supply chain. We welcome member and non-member companies to register their entry-level staff, mid-level executives, and those newer to coal for this one-of-a-kind professional development program. They will have the opportunity to meet and engage with others in the coal supply, consumption, transportation and trading sectors, as well as those working in companies that partner with and support these business sectors. Participants benefit from professional development seminars, ACC conference attendance, special networking dinners and the opportunity to work on a collaborative group project with others in the program. Additional program and registration information is available on the ACC website. Please also call or email Betsy Monseu, ACC CEO, at (202) 756-4540 or bmonseu@americancoalcouncil.org Terry L. Headley, ACC communications director at (202) 756-4540 or theadley@americancoalcouncil.org with any questions or for more information. Categories: transmission	| Tags: American Coal Council, Coal Industry Leadership, Leadership Development Program	| Comments Off on 2019 TOMORROW’S LEADERSHIP COUNCIL PROGRAM REGISTRATION NOW OPEN! The midterm elections are right around the corner. 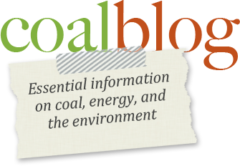 What are the implications to coal if changes to congressional control occur? Read here, keep calm and vote. The October issue of the American Coal e-newsletter is now available. Click below for the latest news about America’s energy — coal. (August 30, 2018) — A trade war has been brewing between the U.S. and many other countries. What started as tariffs on 18 products in January 2018 has grown to encompass more than 10,000 products. The trade war escalated when President Trump imposed additional import duties on steel and aluminum imported into the U.S. from other countries. These tariffs stand at 25% for steel and 10% for aluminum with very few countries exempted. The tariffs have spurred retaliatory actions from several major U.S. trading partners, including Canada, Mexico, China, and the 28 members of the European Union. To provide a tangible, quantitative view of how steel and aluminum tariffs and retaliatory tariffs will impact the U.S. and other countries, FTI Consulting utilized the Global Trade Analysis Project (“GTAP”) model, a dynamic model of international trade and finance, to simulate the budding trade war. The GTAP model can analyze international trade across 57 different industries and 140 countries and regions across the world. We examined two tariff scenarios – one without and one with retaliatory tariffs from the U.S.’s trading partners facing the steel and aluminum tariffs. The analysis and results presented here—which considers the generalized macroeconomic effect of tariffs on metals and specific retaliatory actions—is not exhaustive. With trade and tariff policy-related news changing daily, continued analysis designed to better understand the impacts must be both detailed and dynamic. MORGANTOWN, WV (October 9, 2018) — NETL Researchers Paul Ohodnicki, Ph.D., and Dustin McIntyre, Ph.D., have worked with optical sensors and laser induced breakdown spectroscopy (LIBS) for years, adapting their respective technologies to fit different applications. When the U.S. Department of Energy recently made securing a domestic supply of rare earth elements (REEs) a priority, both researchers realized that portable sensors were uniquely suited to achieve this goal. NEW YORK, NY (October 5, 2018) — Next month, United Nations scientists are set to report that we can no longer win the battle against climate change by reducing carbon emissions: we have to start draining those emissions from the air. This conclusion simply adds to a growing scientific consensus that carbon removal technologies that actively remove CO2 already in circulation can be delayed no longer. Thus far, the U.S. government has only shown lukewarm support for these technologies, but America has as much to gain as anyone from their mass adoption. It’s time for President Donald J. Trump and his administration to take a second look at this issue to put America first in carbon capture technology. The UN report is hardly surprising given the problems that have blighted the Paris climate agreement. Trump, of course, has already pulled out, and many other countries are showing indifference; a report earlier this year ranked three-quarters of EU member-states “poor” in their attempts to meet their Paris obligations. A recent meeting, supposed to lay down a set of rules for the agreement’s implementation, ended in deadlock – the latest in a series of tetchy summits that have exposed political fault lines in the accord. WASHINGTON, DC (October 3, 2018) – EIA released the latest edition of their Electric Power Monthly on September 25th, with data for July 2018. The table above shows the percentage contribution of the main fuel sources to two decimal places for the last two months and the year to date. RENEW investment in coal generation.